Roughly chop pecans and toast the pieces in a dry skillet over medium-low heat until they are lightly browned and fragrant (nutty smell), about 4-5 minutes. Keep as close eye on them as they will quickly burn. In a large bowl, combine Bisquick™, baking powder, cinnamon, and brown sugar and stir together. 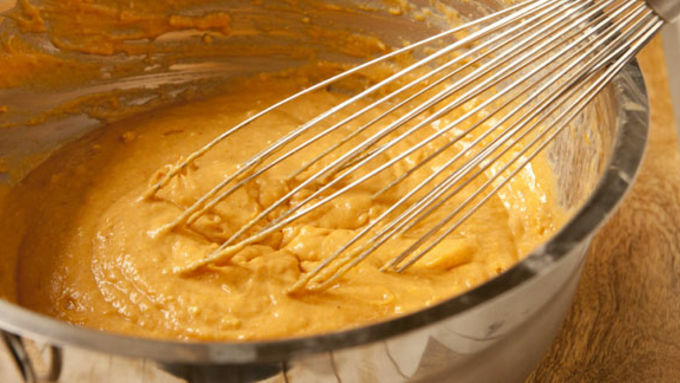 Then stir in pumpkin puree, milk, and eggs and whisk to combine. Finally, stir in melted butter. This batter will be fine for up to an hour if you want to make it slightly in advance. 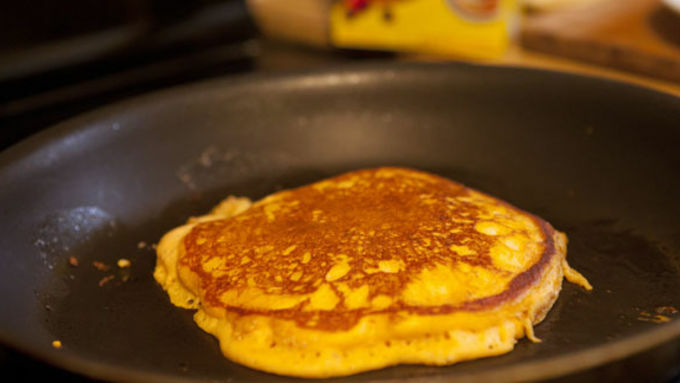 When youre ready to cook, heat a large skillet or griddle over medium heat. Melt a small dab of butter on the skillet and spread it around. 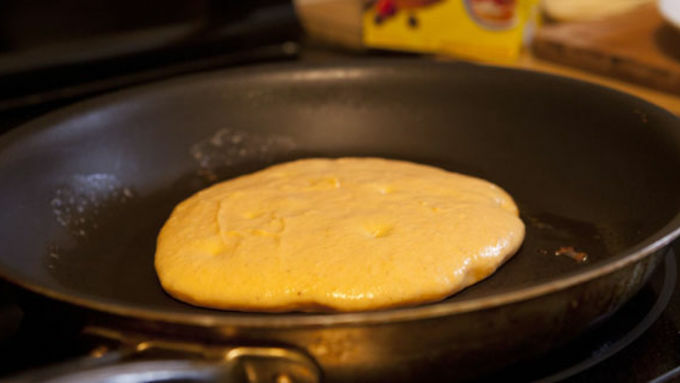 Add 1/3 cup of batter to the skillet and cook the pancake until it starts to firm up around the edges and bubble in the center, about 3 minutes. Carefully flip pancake and cook for 2-3 minutes on the second side. Repeat until all pancakes are cooked. 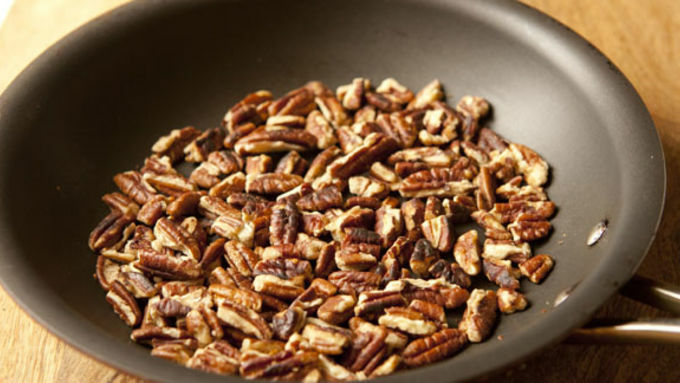 Serve pancakes warm with toasted pecans and real maple syrup. 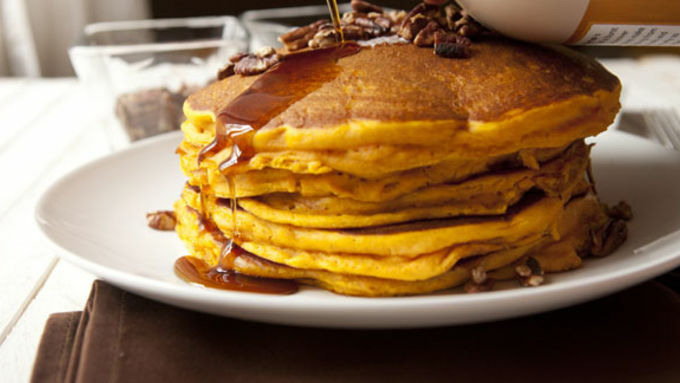 These spiced pumpkin pancakes sport maple syrup and pecans for a fall breakfast that is beyond the norm. There are certain recipes that are just made to be adapted for a pumpkin variety in the fall. Okay, there are actually a lot of recipes that work great with pumpkin, but these pancakes are high on my list. I think I like them because I don’t love super-sweet breakfasts and pumpkin makes the pancakes almost savory. Of course, then I drowned them in maple syrup, but they at least start savory! 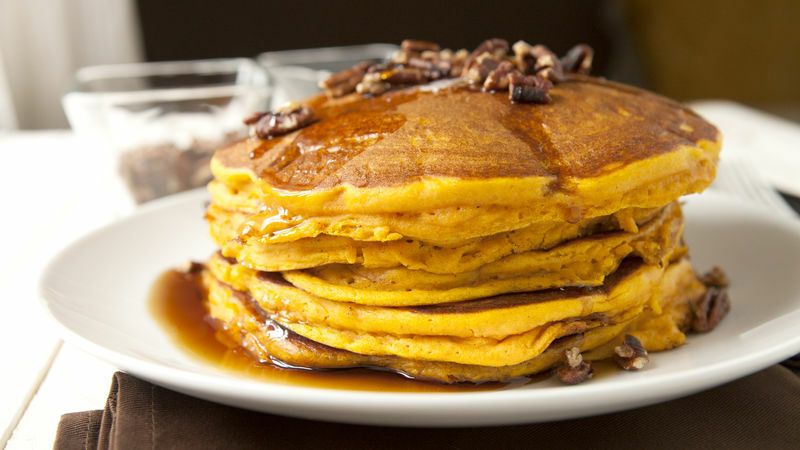 Be sure to pick up an extra can of pumpkin puree this month so you're prepared to make these Pecan and Pumpkin Pie Pancakes. You can either serve these straight off the griddle or cook them all and serve them all in one big stack. However you do it, be sure to serve them with lots of pecans and ample syrup.